Product prices and availability are accurate as of 2019-04-17 18:28:22 EDT and are subject to change. Any price and availability information displayed on http://www.amazon.com/ at the time of purchase will apply to the purchase of this product. 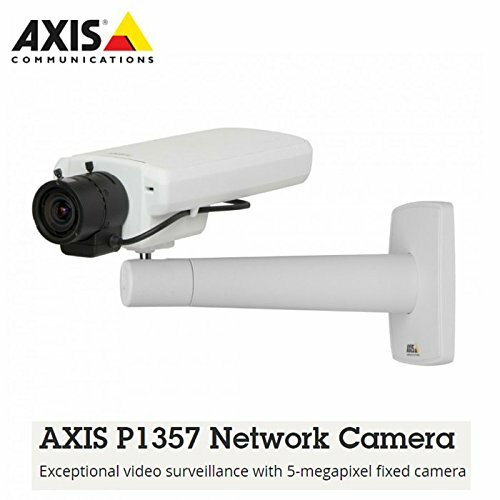 AXIS P1357 Network Camera enables coverage of a large area and extremely high image detail with 5-megapixel resolution or full frame rate HDTV 1080p in H.264 and Motion JPEG. 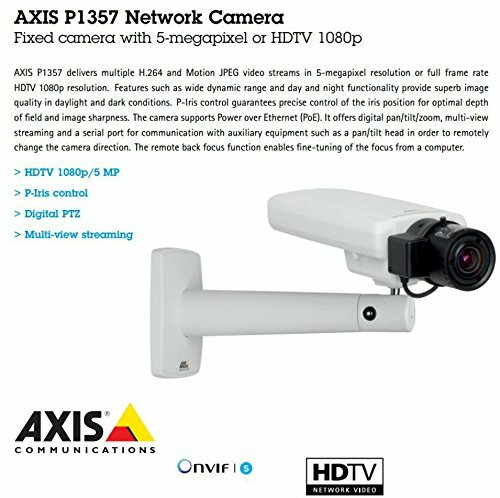 The day/night camera features a P-Iris lens for optimal image clarity, in addition to digital PTZ, multi-view streaming, and easy installation with remote back focus, pixel counter and Power over Ethernet. 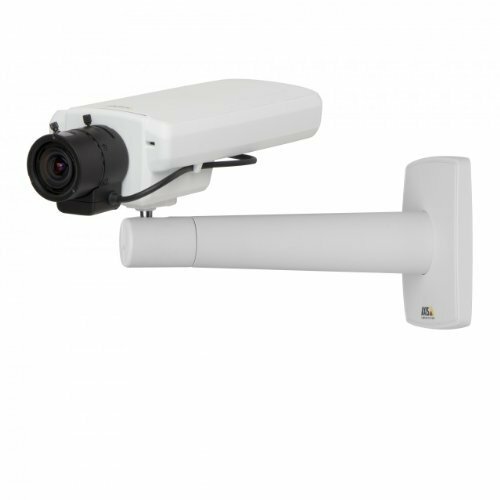 Two-way audio, audio detection, video motion detection, active tampering alarm and a MicroSD/microSDHC slot for optional local storage are also supported. 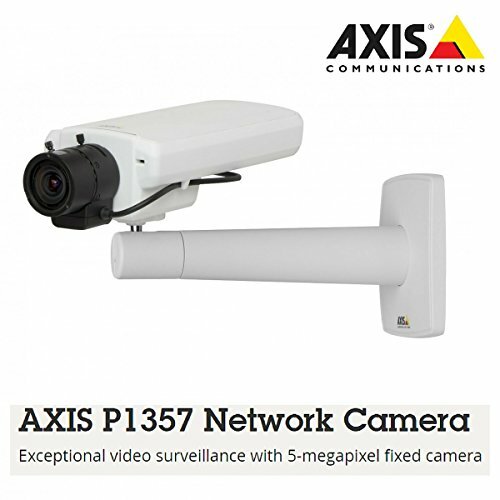 AXIS P1357 is ideal for use in airports, banks, schools and stores.